Do you have your CCCs? Are you working toward getting your CCCs? Do you have your C-SLP (if you are Canadian)? Can you believe that this post is actually not about your CCCs…but another type of certification entirely? And one that really doesn’t have anything to do with our job but many SLPs are still required to obtain? It’s amazing how the 140 character’s we’re allowed on twitter can lead to fascinating and heated conversations. One recent conversation sparked both yesterday’s and today’s post. Yesterday I posted “What’s in a Name” and talked about why we should follow ASHA’s guidelines and call ourselves Speech-Language Pathologists and not “Speech teachers.” In that post, I mentioned that I believed using the term “speech teacher” leads to legislative difficulties and hoops that we as SLPs have to jump through. In some cases, it leads to an inability to be gainfully employed, and at the very least, it costs us, the SLPs, money. I want to explain that post now. I was informed, during one of my final semesters of grad school, that most school district in North Dakota require SLPs to have a “restricted teaching certificate” in order to work in the schools. When I first heard about this “requirement” I was frustrated, but I wasn’t really concerned, until I started doing a bit more research. Then I started getting angry. I called the department of education and was informed that yes, I would need a teacher’s certificate to work in the schools. When I asked what I needed to do to get the certificate, I was informed I needed to take the Praxis I or PPST…which is a test provided by the same people who give the GRE and Praxis II for SLP. However, the PPST is a test that incoming college sophomores take to get into teacher education. What? I confirmed with the person I was speaking with that in order to get this teaching certificate, I needed to take a test that undergraduate students PRIOR to getting into the school of education are required to take. I pointed out that I had already taken the GRE (which is significantly more involved) AND the Praxis which actually pertained to my field…was it really necessary? I couldn’t work in the schools without it? Really? I was informed that yes, I really did need to take it and they didn’t care that the tests I’d already taken were harder or more pertinent. At that point, I became a bit… angry..and politely (no, really, I was polite) hung up the phone. After that conversation, I did a bit more research and spoke with the department of licensing. What I found was that there are three routes to take and I could have 1) a teaching certificate (restricted of course, because after all we are not teachers), 2) Licensure, or 3) both. Although many districts prefer, it was not state law that I had to have a teacher certificate to work in the school. I also found out that in order for me to take this (insulting) test, I needed to register, pay my $150, and then the magic fairies would sprinkle fairy dust and I could get my teaching certificate and work in a school. Needless to say I was a bit (okay make that a lot) bitter about this whole thing and I refused to take it until absolutely necessary. When I accepted my first position in a school setting (working for a special education cooperative), I was informed they did not require a teaching certificate. In fact, since I didn’t have a teaching certificate I was not locked into the negotiated teaching contract and I could actually be given a higher wage. Yes, you heard me right. By refusing to take the test and not getting my teaching certificate, my salary is higher (quite a bit higher) than it would have been if I had the certificate. The only other difference I know of is that I’m not allowed to pay into the teachers retirement fund so my retirement is through the “public employees” fund instead. Also my contract is negotiated each year by me and my employer rather than every two years through the collective bargaining unit. Other than that, I receive the same sick/personal days, insurance, etc. In fact, my contract says that my contract is the same as the negotiated master contract (except for salary). Many of the SLPs on twitter have stated they are required to hold a teaching certificate to work in the schools. My question is why? Why are SLPs required to have teacher certification but Physical Therapists or Occupational Therapists (in most cases) working in the schools are not? Is it a hold over from when SLPs were not required to have a master’s degree? Is it from before ASHA CCCs? Or is it just because no one has said anything? No one has lobbied for fair practices? Since SLPs are NOT teachers they should NOT be required to hold a teaching certificate (however restricted). I recently had a conversation with an SLP Coordinator for one of the larger cities in the state. She was actively recruiting SLPs to come work in their district and wanted me to let new graduates know they were hiring. Being a curious individual (and not because I wanted a new job), I asked about the teacher certificate requirements. She stated that yes, a certificate was required to be hired by the district. I pointed out that it was not state mandated and not even Dept. of Public Instruction mandated. However, she remained firm. I asked if PT and OT and School Psychologists were required to have their teaching certificates…they aren’t. I asked her if that were what her employers considered fair practices…Unfortunately she didn’t answer that question and we both walked away shaking our heads. Needless to say, I won’t be receiving a job offer from that district any time soon! I’d love to hear if your state or district requires teaching certificates for their school-based SLPs and what hoops you had to jump through to get it. Hopefully one day this unfair practice will be abolished and we will be recognized for the specialists we are, not just as glorified “speech teachers”. Indiana FINALLY recognizes the state license, which can be used to renew our teaching license (yes, I do still have one, just in case!) So, instead of trying to keep up with CRU vs. CEU demands, I can use my state license which is required in Indiana to practice in SNF, hospital, clinics. Our schools do not require CCC’s, which I think is sad as I recently learned that some of the school SLP’s aren’t really SLP’s after all. There are some people with education degrees, acting as SLP’s. Also found out recently that many of the assistants/aids in the schools are not licensed by the state, even though the state statutes mandates this. It seems the school systems are so desperate, they’ll do just about anything to get an SLP. I don’t remember having to take an extra exam here for my school license, just an extra exam to get my state license. I’m waiting for the day of the universal license (fingers crossed). Tiffany, there’s a discussion on the FB SLPeeps page about Indiana and teaching certificate. It sounds like Indiana is in a state of flux. Boy, this hit home – I just left a district in Maine and up until last September, SLPs were required to get a teaching certificate (statewide mandate). 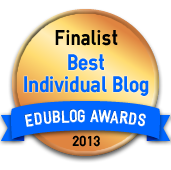 This entailed basically a CY, with supervision (mentoring, they called it) – it looked EXACTLY like our CY!! Enough people must have spoken up and they changed the rule (and saved me $105), BUT – I still had to take a graduate course called “Teaching the Exceptional Child in the Regular Classroom”. I remember thinking, “WTH?! ?” ALL my students are “exceptional” (although the course did address working with gifted students as well) and my “classroom” is anything but “regular”!!! I believe this is just another holdover from the mentality that we are “teachers” and not enough people have tried to educate the State about what our jobs really entail. Not only did I waste my time (except for learning how to create a PowerPoint) working on this course, it put a financial burden on my school district, who had to pay for it because it was mandated. I will be writing a letter to the DOE to argue my point and maybe, if enough SLPs do the same, we can reverse this requirement as well. In CT to teach in the schools, we have to have a teaching certificate AND a health license but C’s aren’t required. It’s a case of what’s always been done. I agree with your thoughts! A “health” license? Is that a license given by the board of health? The same as what a medical SLP would need? I can’t speak for PT/OT but in MA, yes, SLPs have to have teaching certs. Initially it was just paperwork and our clinical placements counted toward both the SLP cert requirements and the teaching cert. We need to pass the MTEL which is a teacher competency test, but just the communication and literacy parts. Recertification happens every 5 years and costs I think about $100, and within schools you need to do the same procedures that teachers do, fill out Professional Development Plans and get observed. Luckily in our district we had an SLP as a supervisor so that evaluation process is relevant to us, and CEUs count as the PDPs one needs for teacher recert. 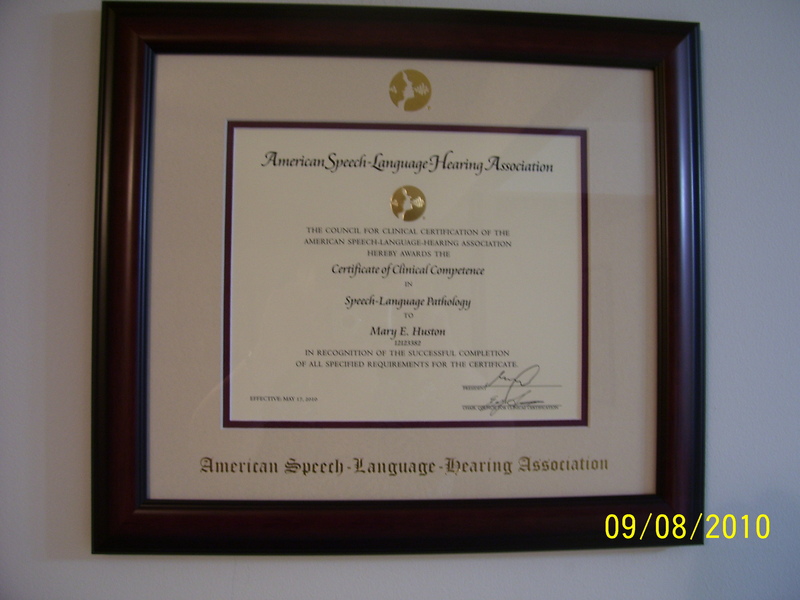 But it is quite a lot to maintain all 3 certifications- ASHA, MA State SLP, and DOE! Do you have to have teaching cert and licensure then Sean? In CA, I had to obtain the “Professional Clear Clinical or Rehabilitative Services Credential in Language, Speech, and Hearing” issued by the California Commission on Teacher Credentialing(CTC). What hoops did I have to jump through to obtain this? Well, having a state license in Speech Pathology, and national certification from ASHA, and 16 years of being a practicing SLP was not enough, I had to: 1) take and pass the CBEST- California Basic Educational Skills Test-a standardized test for math and language arts skills, 2) acquire a “mentor” to meet with on a regular basis, and 3) document 150 hours of professional activities annually, including lesson-planning, staff meetings, parent meetings, etc. Every five years, this has needed to be renewed, with fees, of course. The California Commission on Teacher Credentialing’s (CTC) new Language and Academic Development (LAD) teacher credential regulations have been adopted into law. Big changes for CA SLPs! Wow Maryann! That is insane. So in addition to your state license you have all those hoops to jump through…and then they wonder why they need to hire untrained staff. I am crossing California off my imaginary list of possible states to move to (for a number of reasons – but this tops the list!). It IS insane, Mary! Yes, if you read the Q&A in the statement from the CA Commission on Teaching Credentialing, they talk in circles about what this “language and academic development” (LAD) credential holder will do… But if you read between the lines, it sounds like SLPs will be reduced to Evaluating, Diagnosing/Qualifying students, establishing the IEP goals, and then the LAD staff will provide “instructional service”. So, if Speech-Language therapy looks like a good career, no need to get into a S-L program, or earn a Master’s degree, just get this add-on credential and you-too can be a “Speech Teacher”! I want to know why I have seen NO updates in the ASHA Leader about this! We are talking about CA right now, but if school districts see this as a more cost-effective way to serve IEP students, other states will follow…I am worried! http://www.ctc.ca.gov/educator-prep/special-education-docs/LAD-FAQs-Draft-2011-09-15.doc We need to educate ourselves and push ASHA to advocate for our profession! It does surprise me that we haven’t heard an outcry from ASHA. Have you or your state association contacted them recently? I agree, we need to push ASHA – but we also need to push CSHA to lobby within California. Maybe you can be the catalyst for change by contacting them. I completely agree – if school districts see it as a cost-effective way to provide services, they will go for it. Much like many schools are hiring SLPAs instead of SLPs. On one hand, I can’t blame them – they do after all face budget shortfalls and fiscal difficulties. On the other hand I believe it is extremely short-sighted and problematic for our profession. Maryland has stopped requiring teacher certificates for school-based SLPs. Initially, the counties reacted by saying we could not be represented by the teacher unions. That threat has not been acted on. We are are required to hold a State license for SLPs, but do not need our CCC’s. State license is enough to bill for Medicaid. Current SLPs with teacher certificates do not need license or CCC’s, until they apply for another job in Maryland. Mary inspired me to make a call to action regarding this issue that I feel threatens our profession as SLPs in CA. So I wrote a letter to the editor at ASHA’s Leader. Their response to this issue resulted in 2 articles in the October Leader “clarifying” what the “Language and Academic Development” teacher’s credential is intended for – the article states that “ASHA and CSHA will continue to monitor the implementation of the new credentialing process, including the hiring and use of teachers with the LAD credential”. Interesting, since the California Teaching Commission, is an independent decision-making body, and will be the agency reviewing the applications, and granting the credential. Neither ASHA nor CSHA will be involved in that process. And how could ASHA or CSHA possibly track the hiring of the teachers who obtain this credential, or their practices once they are hired? Read the articles for yourselves. Ok. I’ve tried to reply to this a few times now… Let’s try again. I found the article in the Leader enlightening…and confusing. It looks like the LAD is supposed to be a “special education Specialist” certificate…and is to be that helpmeet between speech-language therapist and the classroom. Which is great in theory…but I’m having difficulty seeing how it would actually work. Knowing the way many school districts feel – I have a hard time seeing the schools paying for special education teachers, SLPs, AND LADs…Is this supposed to be a credential similar to having a “reading specialist” credential or an “ED Specialist” credential? That doesn’t seem to be the way the way it will happen. The Leader was very clear in stating the LAD was not to replace the speech-language therapist, but I can see where it could happen. This is one where we will definitely have to watch and advocate for our profession.